Single-core processors still exist, but they fill the very low end of the market and are generally sluggish even for basic tasks like internet and word processing. Put simply, they should be avoided at all costs. AMD’s Athlon II processors come with two, three, or four cores and are fairly competitive in the sub-$100 market, but if you want to experience games in all their glory, Intel’s Core i-series processors are unfortunately the only game in town. Why? It all boils down to single-threaded performance. AMD competes with Intel by offering more physical cores at a given price, which is helpful for tasks like video encoding that can use many cores at once. Games, however, have relatively little need for many cores. The thing that matters most for gaming is how fast a processor can execute a couple big, complex threads – not how many threads it can handle in parallel. Intel’s highly efficient Core architecture is well suited to a gaming workload as well as other common programs such as Photoshop. Games are thankfully getting better about utilizing more than two cores, and will certainly continue to improve in the future. However, benchmarks such as Anandtech Bench show that a fast dual core will dominate even relatively high-end chips that rely on lots of slow cores rather than a few fast cores. This is painfully obvious when comparing the $120 Core i3-2100 3.1GHz dual core to the $250 AMD FX-8150 3.6GHz octa-core. Despite having eight cores and a 500MHz clock speed advantage, the FX-8150 loses all of AnandTech's gaming benchmarks by a wide margin (except Starcraft II, where it eeks out a narrow victory). To be fair, the FX-8150 wins most other benchmarks handily, but it is not a gaming chip by any stretch of the imagination. Depending on your budget, there are three Intel processors that stand out as excellent gaming chips. If you’re on a tight budget, the $90, 2.9GHz Pentium G850 dual core is a solid no-frills performer. It lacks a couple of the Core i-series features like Hyperthreading, but is still more than fast enough for the current crop of games, and the money you’ll save could translate into a substantially better video card. Your midrange option is the $130, 3.3GHz Core i3-2120 dual core. Compared to the G850, you gain 400MHz, Hyperthreading (which lets each CPU core handle two threads in parallel, essentially giving you two more virtual cores – in practice, it tends to make a dual core CPU perform like a tri core), and some other minor features unrelated to gaming, like Quick Sync. Finally, the $225, 3.3GHz Core i5-2500K quad core is your high-end option. There are faster Intel chips, but they’re significantly more expensive and offer minimal benefit to gamers. With the 2500K, you finally get four physical cores. And yes, at the high end especially they do make a difference. Furthermore, when some of the 2500K’s four cores are inactive, it’ll automatically boost the clock speed of the active cores. So if a game is only using two cores, those cores will run at a higher speed – 3.6GHz, to be exact. If you’re only using a single core, it’ll run at 3.7GHz. Intel calls this feature Turbo Boost. The last benefit of the 2500K, and probably the most important to enthusiasts, is the “K”. That signifies an unlocked frequency multiplier, which allows easy overclocking and significant performance gains. The Core architecture is very energy efficient, and comes with a lot of thermal headroom. Spend $40-60 on a good heatsink and another $10 on quality thermal paste, and your 3.3GHz processor can generally be overclocked to 4.4GHz or higher – a full 25% increase in theoretical performance. Processors are certainly important for gaming, but it’s the graphics card that most determines the quality of your gaming experience. A CPU can be “good enough”, but each new tier of graphics card provides major benefits up through the very high end. At some point you’ll need other expensive hardware to take advantage of a very fast graphics card (for example, a Radeon HD 7970 is fully capable of running games at max detail at resolutions above 1080p, but that won’t matter unless you have a monitor – or monitors – that can display such high resolutions). If you’re gaming at or below 1080p, you’ll likely be fine with a more pedestrian card such as a GeForce GTX 560 Ti. Of course, not everyone is buying a new processor. If you just need to figure out whether your current processor is sufficient for running modern 3D games, then the following list should help. We’ve organized common processor families into four basic performance categories: poor (too slow to be worthwhile), mediocre (acceptable performance at moderate settings), good (solid performance at medium-high settings), and excellent (great performance at maximal settings with room to spare). More information can be found in the processor comparison and in the processor benchmarks. While games can definitely benefit from a quad-core processor, efficient dual cores like the Core i3-2120 are still plenty for most gamers – though they’ll likely be outdated faster than quad core chips. 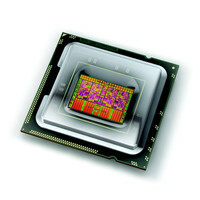 Single core chips and low-power chips like the Atom, E-350, and Sempron should be avoided at all costs. The good news is that even cheap dual cores like the Athlon II X2 and Pentium G850 can provide an acceptable midrange gaming experience for under $100. One of the happy side effects of games being increasingly tailored to the console market is that system requirements aren’t evolving as fast as they used to, and we aren’t likely to see another big jump in hardware requirements until the next-gen consoles are released – perhaps in 2013-2014. Even then, new titles will likely support X360/PS3-level hardware for some time to come. It’s also worthwhile to note that different game genres benefit more from different upgrades. Generally speaking, RTS games such as Starcraft II are fairly CPU-dependent, whereas FPS games generally care more about your graphics card than anything. MMOs like Battlefield 3 (and certain RTS games like Supreme Commander II) also have relatively high RAM requirements and can see substantial benefits from up to 8GB of RAM.